WASHINGTON – Two of the six teenage members of an African robotics team reported missing after an international competition came to an end earlier this week in D.C. have reportedly been spotted crossing into Canada DC police say. Police reported on Thursday that 16-year-old Don Ingabire and 17-year-old Audrey Mwamikazi were seen crossing from the United States into Canada. 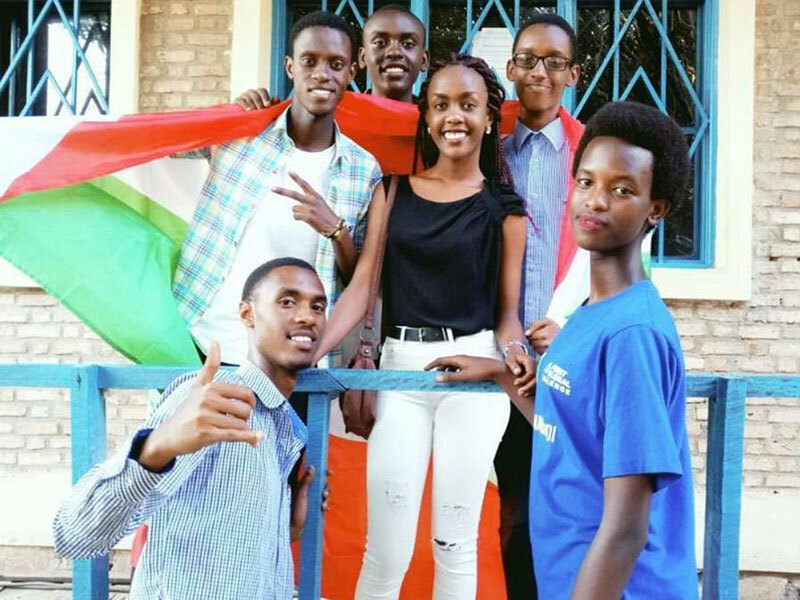 Six teenagers, including Ingabire and Mwamikazi, were members of the Burundi robotics team and were taking part in the FIRST Global Challenge robotics competition being held in the District. Ingabire, Mwamikazi, 18-year-old Richard Irakoze, 17-year-old Kevin Sabumukiza, 17-year-old Nice Munezero and 18-year-old Aristide Irambona were all reported missing after last being seen around 5pm on Tuesday, about the same time the robotics matches were finishing at DAR Constitution Hall. A senior counsellor at Burundian Embassy in New York said they didn’t even know the group was in the US until they received a call Wednesday morning from the team’s coach reporting them missing. The FIRST Global Challenge competition is aimed at youth from around the world and encourages the pursuit of careers in math and science. Teams of teenagers from more than 150 nations attended. An all-girls team from Afghanistan drew headlines after they nearly missed the games after their visas were denied twice. A last-minute intervention by President Donald Trump helped them arrive on time. The DC Police Department posted photos of all six teenagers on their Twitter page. In their reports, police say the teenagers all have one-year visas. The Burundi Embassy says it has contacted the government in Burundi to let them know about the developing situation. FOX 5 reached out to the State Department, but have not received a response. FIRST Global says the disappearance may have been self-initiated. The teenagers reportedly left all their keys in the chaperone’s bag and removed their clothing from their rooms. Immigration attorney Jan Pederson says the students are in the country legally and the one-year visa is standard between the United States and Burundi. She also says the U.S. has an agreement with Canada that someone seeking asylum would typically have to seek it in the country where they first landed so there is a good chance the teenagers in Canada could be returned to the U.S. The State Department recently warned U.S. citizens against travel to Burundi due to political tensions, violence and the potential for civil unrest. While police say the team members are not in danger, they are actively looking for them, but would not elaborate on how. Police do not believe there is any suspicious activity associated with their disappearance.